The kids were both scared and amused by the creatures on their plates. Oh wow Im so amazed! how? wat? huh? these are just too cool …You got yourself a new follower!! gawd I'm impressed if my pancake stays in the pan and doesn't end up on the floor haha these are another level!!! lucky kids! Please pop over and check out my blog too if you like (unusual) art. These are fantastic! I'm definitely going to need to try this at home >.> … (Although, Hobbit portraits are not likely to be my starting point!). 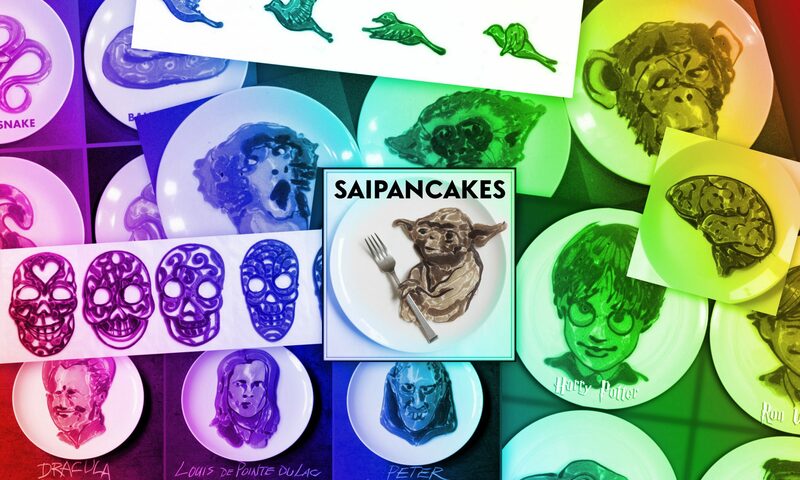 Great idea coming up with the elaborate pancake-art!